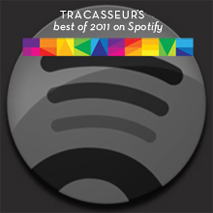 Tracasseur consider the Swedish electronic duo DW as a very promising and talented act. Therefore we opted to have an interview with these lads before their next gig here in Stockholm. They are playing at “Restaurant Landet” this Tuesday, March 3rd at 10 PM. Don’t miss them out! Hello Amir and Kilian, how is it with the star quality? (Amir) We beam with pleasure! We know that you guys had have other projects together before. How long have you been working with DW? Haha, but we know that the name DW was a compromise between you two, tell us a little about that? (Kilian) The name DW is shortening of Darkwoods, the name we had before. Darkwoods feels a little more visual than DW, more associations, which could both be good and bad. The thing that wasn’t good with Darkwoods was the dark vibes it gives away. Sounds more like a heavy metal band; there are surely lots of bands in that genre that goes by the name of Darkwoods. 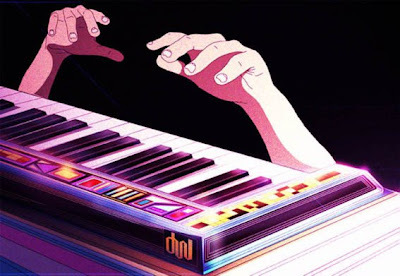 (Kilian) Furthermore we didn’t want to be connected with the evil Earl de Darkwood in the Japanese animated film “Interstella 5555” for Daft Punk. (Amir) The fight against Mr. Darkwood is actually a kind of general theme for us in the lyrics. How should you describe your music and your sound? (Amir & Kilian) The description at our MySpace is kind of significant. 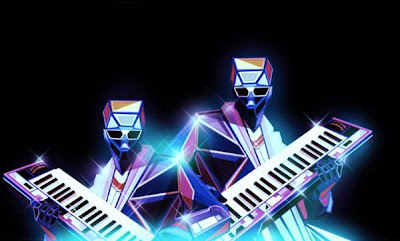 “Hip-pop-house through pink italo shades". (Kilian interrupts) I MUST say that I believe it is the listener who creates the genre, what you carry with you, what you listen to and what you’ve listened to before. There is a quote, which goes something like this: “The beauty is in the eye of the beholder”. In our case maybe ear suites better than eye. Last autumn you had your first live gig here in Stockholm. How did it work out? (Kilian) It went beyond our expectations, much thanks to that the place had a club organizer and sound technician that understood electronic music. (Amir) That same guy has helped us out before by mastering some tunes. A cool guy! (Kilian) It was a kick standing on stage even if we were quite nervous. (Kilian) Wasn’t it Den Harrow from 2008? (Amir) Don’t think it was from 1985 anyhow. Then you also have been performing live at Picknick in Berlin in connection with their fashion week. How was it to be on stage abroad? (Kilian) It was fun! Fantastic city! We had a blast and got to travel together. (Kilian) We’ve been talking about letting him become the third member of DW. (Kilian) The gig went well except that there were some troubles with the technique. It was an awesome feeling to see people sing along with our songs. Berlin knows music! (Kilian) Could be too relaxed then maybe? You mentioned “Snart Jonas” as a possible third member of DW in the future. But he has already been singing in several of your songs. How does the collaboration look today? (Amir) Jonas is today in a band called Snart with another musician named Gabriel. I have been to high school with these two. They’re real good musicians and we wanted to give our songs that little extra with help from the amazing voice of Jonas. And as we mentioned before, Jonas performs with us live. 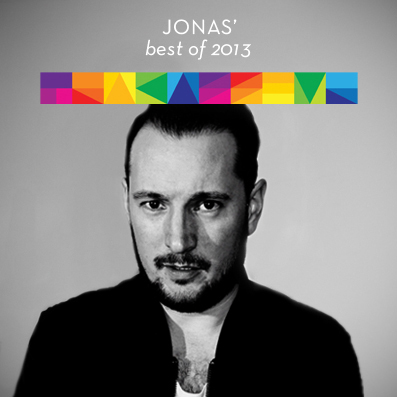 It’s very comfortable to have Jonas with us live; he has a lot of experience to be on stage. (Kilian) We look forward to Snart’s version of “Hypnotic Tango”. The rumours say that you Amir sings on the other tracks, is that true? (Amir) I grab hold of the microphone and refuses to let it go. It was actually Kilian who started doing the vocoder stuff but then it changed to me. Don’t know why really but now it’s a part of our sound. Kilian is also doing another project where you can hear him and the vocoder - Tropical Silence. Fedt! (Kilian) Amir finds the exact right feeling with his voice to our songs. You have also been signed by the Chicago based indie label Glam Boy. How did that become reality and what are the plans for you at Glam Boy? (Kilian) We were contacted via MySpace and they offered exactly what we were looking for in a label. Glam Boy was founded by a true italo disco and new wave enthusiast and seems to have the right visions for his artists. (Amir) We believe it will work out fine. We don’t know that much yet. We’ve been in contact with numerous MySpace-labels before Glam Boy and there is a lot of talking. Starting a MySpace page is not quite the same as running a record label. (Kilian) Another thing with Glam Boy is their seriousity. They have a record store and arrange great clubs in Chicago. Chicago is also an interesting city much because to their music heritage. (Amir) We have already been talking about a mini tour on the American east coast. That would be real cool as a fourth gig! (Kilian) Our third gig is at “Restaurant Landet” now on Tuesday, March 3rd. Join us! You have made a number of real good remixes, for example one of the Swedish italo band Fake’s songs, that we have posted before. How do you choose which songs you will make a remix of? (Amir) We do remixes of songs that we want to hear out ourselves. (Kilian) And songs that we want others to hear out, with or without the DW touch. (Amir) We do two kinds of remixes. Partly remixes of old tunes that too few people have heard and partly songs that the other artist want to get DW-fied. (Kilian) When you hear a song that you gladly listen to a hundred times, it is hard not to take action. You might as well be creative with that song when you are going to spend time with it. What are the closest future plans for DW? Take over the world? (Amir) Hmm…we got to take more action to get more gigs and collaborations. We’ve been spoiled with a lot of things so far. But the world lies before our feet. (Kilian) Focus lies within to create awesome live gigs and take a step away from the anonymity after many years of producing at home. Now we feel that we can take credit for the music we make and we have no problems to show who we are. (Amir) An EP would also be the real deal. And with Glam Boy on our team that could be reality in a near future, hopefully during 2009. 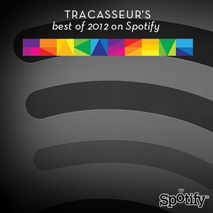 Tracasseur says thank you for the exclusive interview and we promise you that we will keep our eyes and ears on you. Good luck! (Amir & Kilian) Thanks for a nice chat!